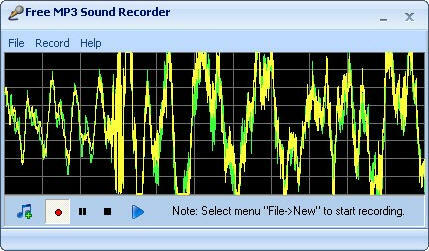 Free MP3 Sound Recorder is a poweful sound recording program to record sound from microphone, internet streaming audio, music played by Winamp, Windows Media Player, Quick Time, Real Player, Flash, Games, etc. The recorded audio can be saved in MP3, WAV, OGG, VOX audio formats. You can choose the output audio's frequency, bitrate, channel and quality. The program works for all Windows platform and is very easy-to-use. Have fun with it! Qweas is providing links to Free MP3 Sound Recorder 1.9 as a courtesy, and makes no representations regarding Free MP3 Sound Recorder or any other applications or any information related thereto. Any questions, complaints or claims regarding this application Free MP3 Sound Recorder 1.9 must be directed to the appropriate software vendor. You may click the publisher link of Free MP3 Sound Recorder on the top of this page to get more details about the vendor.